"The WAA Organization And The Worcester Family Have Graciously Opened Their Arms & Hearts To Us. Getting Involved With WAA Has Certainly Been Life Altering For Us, Giving Us The Chance To Pay It Forward. Delivering A Load Of Veterans Wreaths To Arlington National Cemetery Over The Last 6 Years, Enables Us To Witness The Overwhelming Support Of Love, Patriotism And American Pride. It Is Very Enlightening To Meet So Many People That Truly Care That Our Son Gave The Ultimate Sacrifice To Protect Our Freedoms." In 2016, Wreaths Across America and its national network of volunteers laid over 1,700,000 memorial wreaths at 1,600+ locations in the United States and beyond, including ceremonies at the Pearl Harbor Memorial, as well as Bunker Hill, Valley Forge and the sites if the September 11 tragedies. This was accomplished with help from 2,047 fundraising groups, corporate partners, and donations of trucking, shipping, and thousands of helping hands. 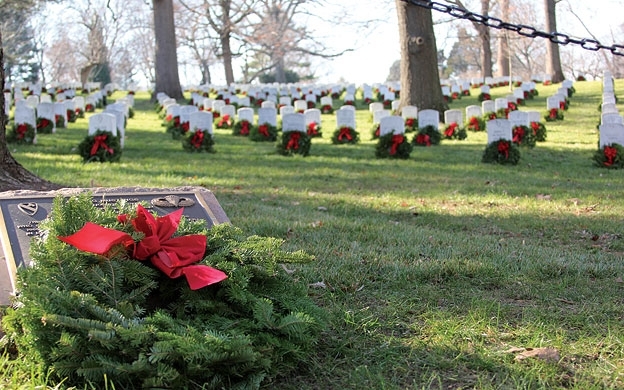 The organization's goal of covering Arlington National Cemetery was met in 2014 with the placement of 226,525 wreaths and has continued for the past two years. 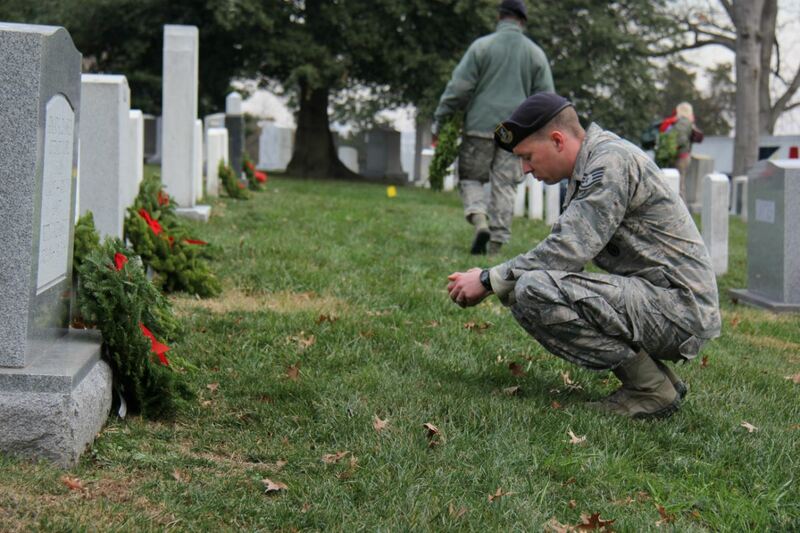 The wreath-laying is held annually, on the second or third Saturday of December. WAA's annual pilgrimage from Harrington, Maine to Arlington National Cemetery has become known as the world’s largest veterans’ parade, stopping at schools, monuments, veterans’ homes and communities all along the way to remind people how important it is to Remember, Honor and Teach. 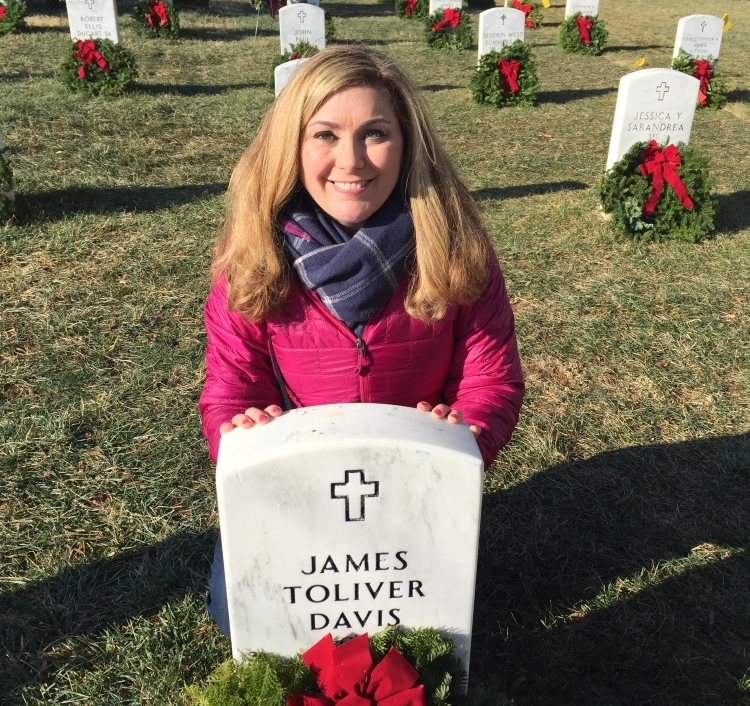 Wreaths Across America works each year to ensure every headstone is covered, but we need your help to honor all those who served and made the ultimate sacrifice. 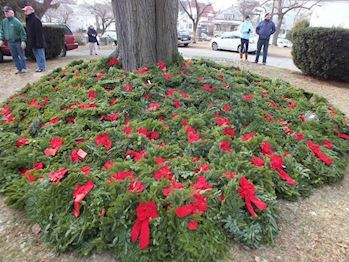 Besides the many thousands of individuals who sponsor wreaths, we have received support from many corporations, in the form of funding and in-kind contributions. We appreciate their support and look forward to achieving our goals for 2019, not only at Arlington National Cemetery, but at the other 1,600+ participating cemeteries nationwide. Thank you for your continued partnership and look forward to growing with you! 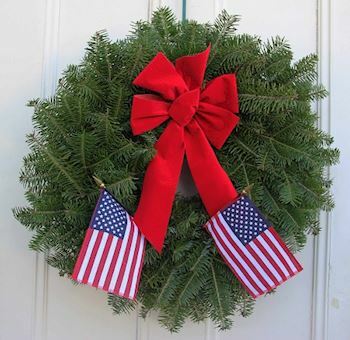 Wreath sponsorships is the most popular way to partner with the Wreaths Across America mission. There are several sponsorship packages that go along with your sponsorship amount. A wreaths sponsorship is $15.00. 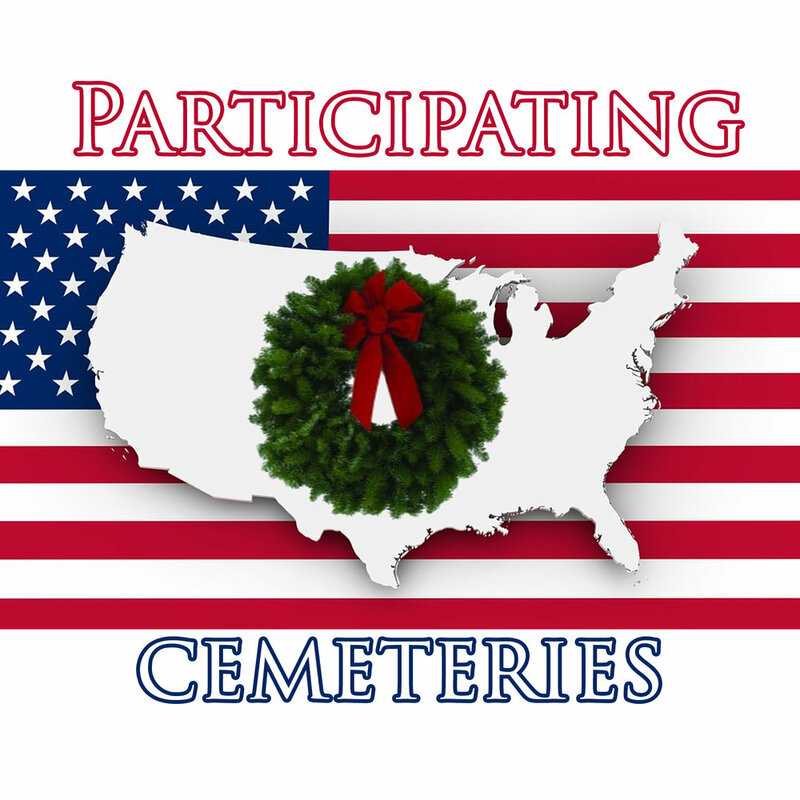 With this sponsorship you can designate which participating cemetery your wreath sponsorship will be placed at. With over 1,600 participating cemeteries, as well as, Arlington National Cemetery we can find a location that fits your needs. 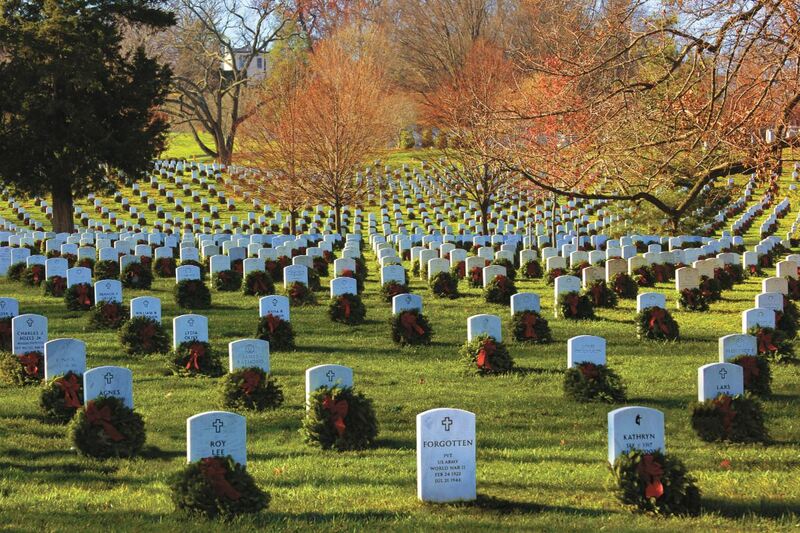 Arlington National Cemetery has a unique set up that allows sponsors to allocate their wreath sponsorship to a designated section of the cemetery. This allows your volunteers to have a meeting point at the cemetery and is also great for group pictures within the cemetery. With over 100 sections at Arlington National Cemetery there are ranges of sponsorship amounts. Sponsorship packages are available upon request for your review. However, we understand that every company is different so our packages serve as guidelines and we strive to work with you to give you the very best experience. Find a participating cemetery near you. "Volunteers Are Not Paid~Not Because They Are Worthless, But Because They Are PRICELESS!" 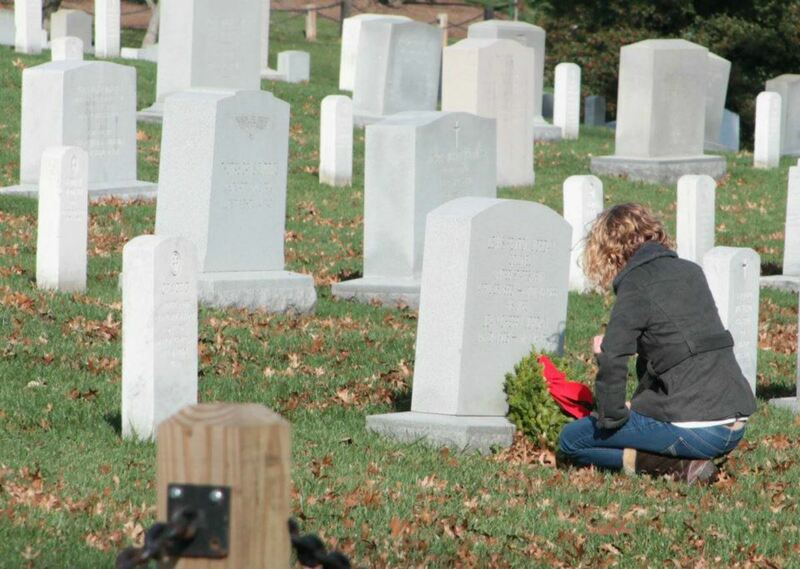 We take our mission seriously: when you donate to Wreaths Across America, your money sponsors a wreath first. $0.86 of every dollar donated goes toward wreath sponsorships, shipping costs not covered by our trucking partners, and fundraising group paybacks. WAA operates on the remaining margin, keeping overhead low and paying wages to just eight full-time employees; our Executive Director and Chairman take zero salary and are 100% committed to the mission. In-kind contributions are essential to making any non-profit function. 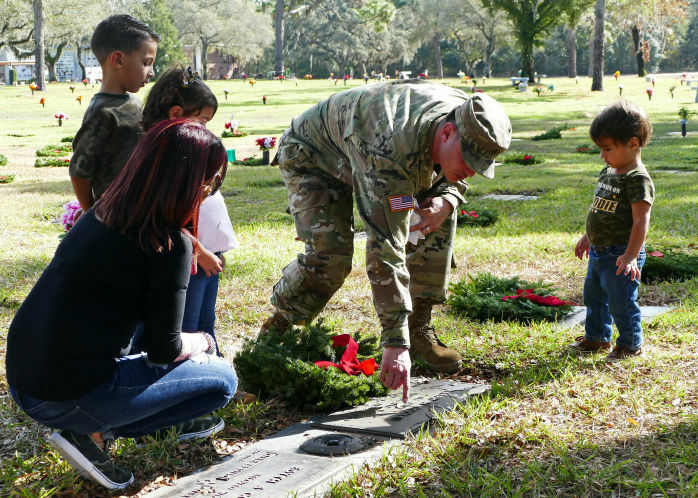 With Wreaths Across America we rely heavily on in-kind contributions, whether professional services, promotional/advertising partnerships, and many others. The biggest in-kind donations come in the form of donated trucking. Wreaths Across America could not function without the support of the trucking industry. WAA has 1,600+ participating cemeteries in all 50 states and the trucking industry gets ALL of the wreath sponsorships to their rightful cemeteries. In 2016, more than 170 trucking companies delivered more than 359 loads of wreaths...as the mission grows so does the need for in-kind contributions. In 2016, Chevrolet graciously gifted Wreaths Across America with a 2017 Chevrolet Silverado 3500 HD and money towards a trailer. Wreaths Across America has had a vision of having a mobile education vehicle to go on a national tour promoting not only the mission to REMEMBER*HONOR*TEACH, but also bring communities together to learn of the service and sacrifices that have been made to ensure our freedoms. The 48 foot trailer will be unveiled in the 2017 Convoy to Arlington. This fully functional trailer is equipped with 2 exterior television, four extended slide outs, four awnings, an interior museum, and a 20 person interactive movie theater. WAA would like to see the trailer on a constant tour of the country spreading the mission with a minimum of 40 stops. The vision is to be able to bring locations groups, fundraising groups, community groups, veterans, active duty and children together to highlight generations of service to our country and share stories of the past and present. 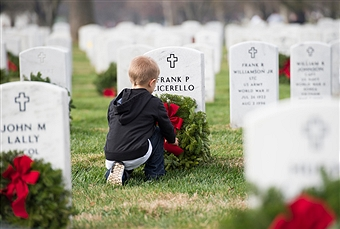 On National Wreaths Across America Day each December, volunteers place wreaths on individual veterans' graves in over 1,600 locations throughout the U.S., with ceremonies at sea, and at each of the national cemeteries on foreign soil. 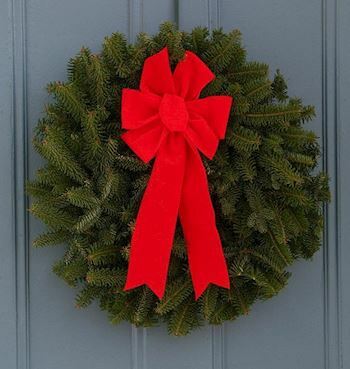 You can sponsor a wreath at a cemetery near you, or even volunteer or donate to a local fundraising group. If you don't see a location near you, Wreaths Across America will support you in becoming a Location Coordinator for a cemetery in your area. 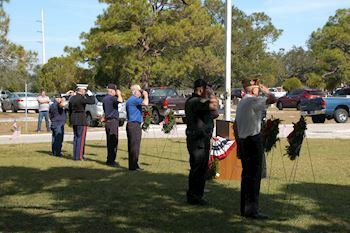 There is no cost to become a participating location and host a WAA ceremony this December. 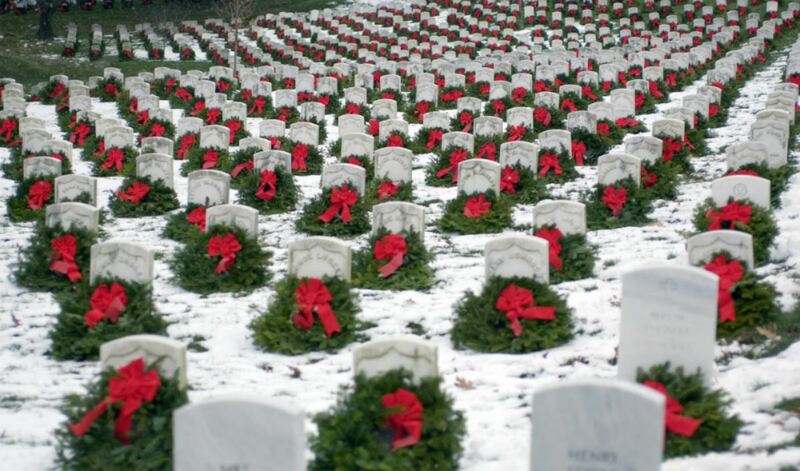 Wreaths Across America continues to grow year after year forming partnerships along the way. If you or your company wish to become partners and would like to discuss this further with one of our Corporate Partner Directors please complete the below form and someone will reach out to you ASAP. 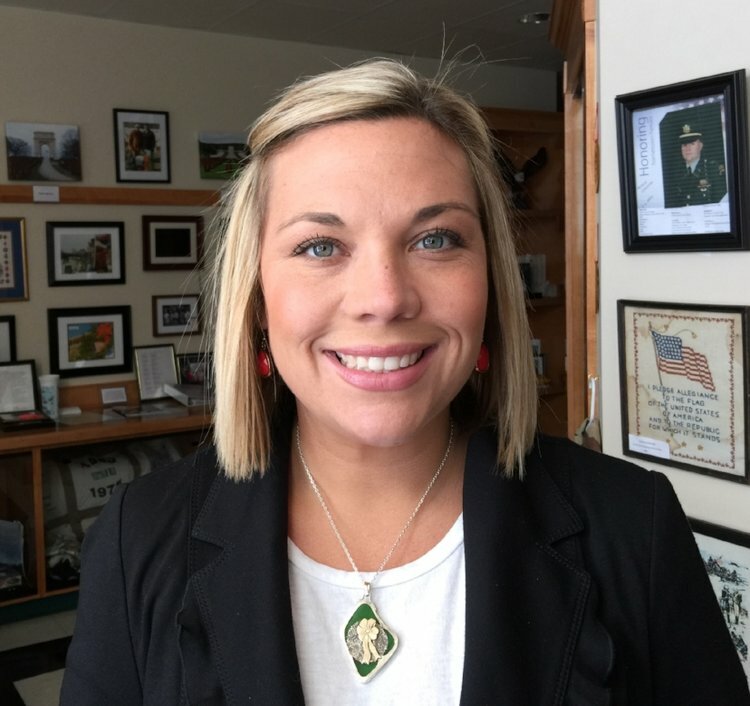 We look forward from hearing from you and would love to discuss how we can partner together to Remember the Fallen; Honor Those Who Serve & Their Families; & Teach Our Children the Value of Freedom.